Model building is a hobby that you either love or hate. 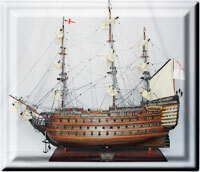 Some people just do not relish spending hours upon hours gluing intricate pieces of plastic or wood together, while others would welcome the satisfaction one feels when creating a model and completing it. My first model was an old Godzilla monster model. Not much to it but because I was pretty young, I really enjoyed putting it together and painting it. I soon advanced to model planes which I thought was the greatest because once they were done and painted, I could hang them from the ceiling with a string. My step father is into building older boat models. Talk about intricate, he will spend hours just making sure one line rigging is just right. Those babies look like the real deal once he is done with them. Take your time to look through this site so that you may find the specific model that your looking for at a price you can't pass up. This site was designed to give you information about model building and also bring you listings for Revell Models, Star Trek Models, Monster Models, Estes Rockets, Model Kits at auctions that are set to close soon or that you can buy right now from this site in our shopping cart. If you buy it at auction, it gives you the opportunity to place what might be the winning bid or if don't want to participate in an auction or don't win the auction, you can simply buy it from our shopping cart. If you don't win it or don't see what you like, book mark this site and come back daily since the auctions and listings do change frequently. The trademarked names and logos of other companies, products and services are the property of their respective owners.